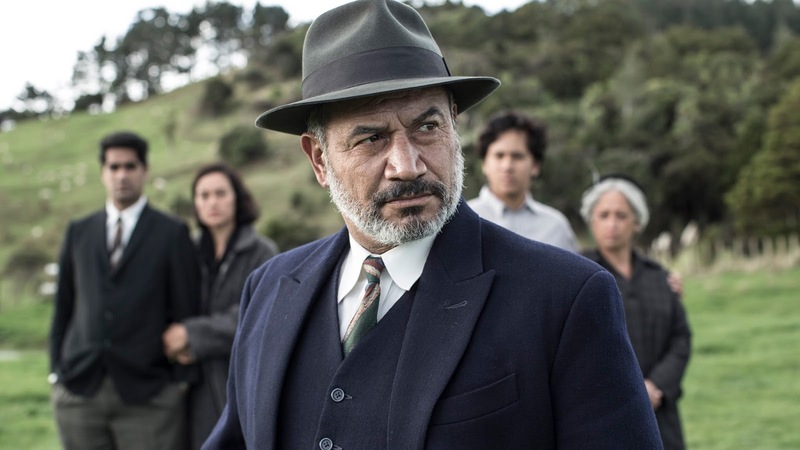 Lee Tamahori returns to the New Zealand screen with a film that reunites him with his Once Were Warriors star Temuera Morrison. 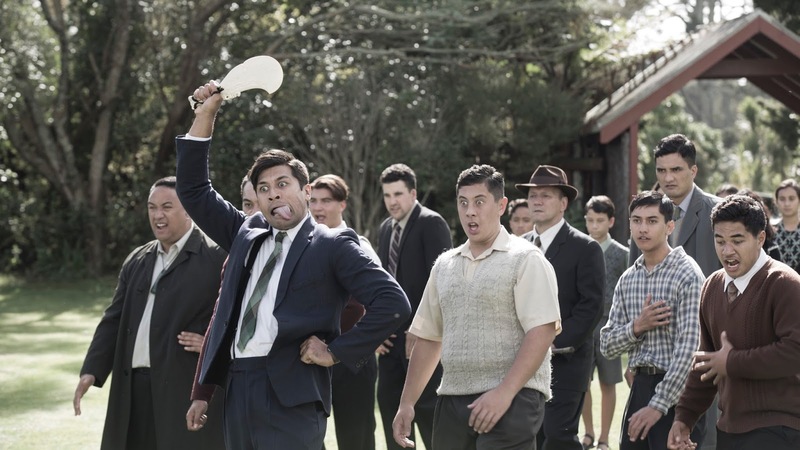 Based on Witi Ihimaera's Bulibasha, and set in provincial Gisborne in the 1960s, it's the story of the Mahana family, who are ruled with an iron fist by grandfather Tamihana, a traditionalist (played by Temuera Morrison). There's a long-standing rivalry between the Mahanas and their fellow sheep-shearing family, the Poatas and the vendetta runs deep even if no-one talks about it. 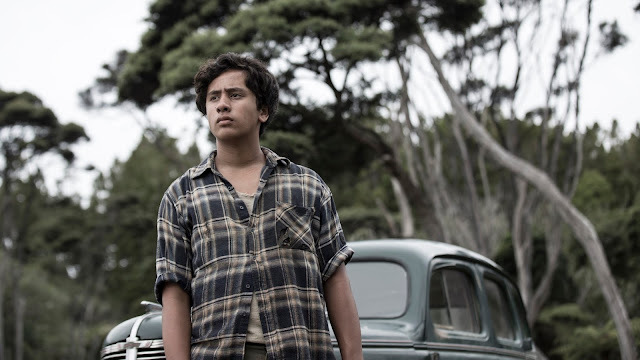 Mahana is a film of two pieces, wildly meshed together. At times, it's a dark family drama that plays nicely on the rifts between families and the enmity within as well as hinting at pre-colonial lifestyles and practices. But then other parts of it veer wildly into more traditional lighter elements such as concluding the film with a sheep-shearing contest that's as predictable as the day is long. And unfortunately, there's a wild mix of acting talents too; at times, Temuera teeters dangerously into over-acting and is not well served by the overly bombastic soundtrack of the film being cranked up at the moments of extreme drama to emphasise that bad things are about to happen. Yet, there are moments when he gives the monster some more human edges that soften his on-screen Tamihana. If anything, Keefe's the star of the film, giving a turn that has the subtlety that's needed for Simeon, a boy on the cusp of being a man and the awkward teen struggles that come with age and the desire to become your own person. Tamahori makes good fist of the Gisborne scenery and there are some moodily evocative shots that stand out of mist settling in the valleys and hinting at the discord ahead. But equally, there are puzzling directorial choices that frustrate. One offender is the swirling camera around the exterior of a house as the reason for the conflict is revealed. Granted, it's more about creating a mood and evoking horror, but tonally, it sits at odds with the moment it's revealed - during a shearing contest. All in all, Mahana is at times, a muddled film which sits at odds with what it intends to do. By mixing the light with the dark, the film's missed its chance to stamp itself irrevocably on the NZ cinematic landscape; had it been more daring, it could have been a bold and blistering film. As it is, it sadly feels parochial and limited, when its scope should have been wider.